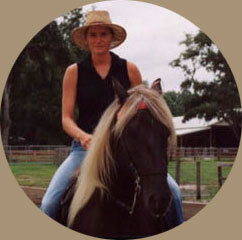 C&W Mountain Horse Farm, Inc. is home to one of the largest herds of the mythic Mountain Horse. From exceptional bloodlines, we produce high quality Mountain Horses, legendary for their gentle disposition and smooth gait. Campbell (our three year old granddaughter) enjoys a trail ride with her grandfather. 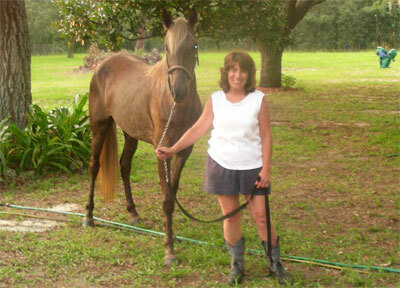 Most of our customers are drawn to the Mountain Horse for its gentle temperament, smooth gait and exceptional beauty. Virtually all of our horses originate from double and triple registered Mountain Horses (see Mountain Horse History) carefully bred for these sought-after characteristics. Our foals are developed to foster the Mountain Horse's natural affinity for learning and human interaction. 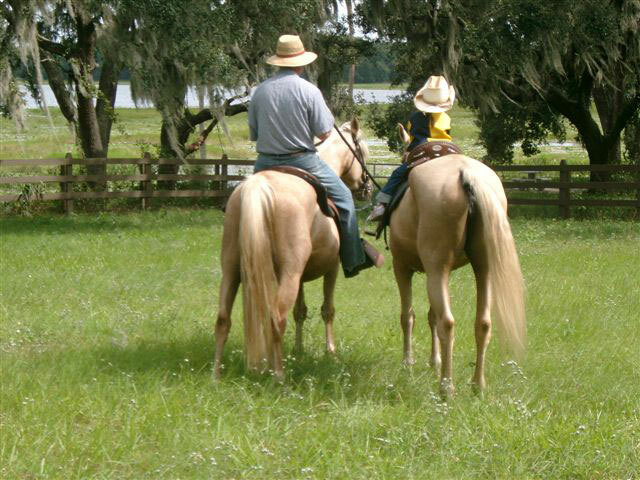 They are gently handled as foals and yearlings, slowly started under saddle as two year olds and finally painstakingly finished for the trail rider who is looking for a naturally smooth ride on a beautiful horse. Because we are "breeders" rather than "horse traders" we have experience with our foals since birth. We strive to match you with the right horse, with which you will have years of happy trails. We stand behind our horses by offering a 30 day exchange policy. Not surprisingly, we have many happy customers that come back to C&W for their Mountain Horse needs. Congratulations to Sandy and Lester Taylor with Connie! 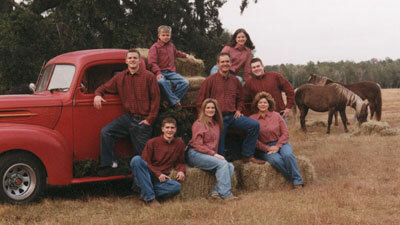 We designed this website to help introduce the Mountain Horse, our farm and the services we offer. We have attempted to answer questions that we are often asked by those who are newly becoming acquainted with Mountain Horses. Please email us with suggested improvements or questions that we did not answer to your satisfaction.